I don’t know about you, but I’ve been looking for a good multi-bay charger for my 2X700 batteries. I definitely wasn’t expecting to find one this cheap though! 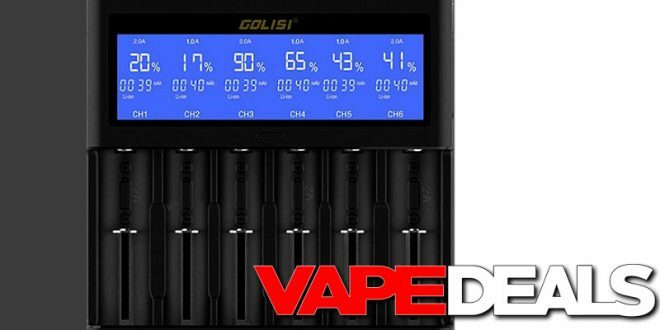 3avape is selling the new GOLISI S4 Smart Battery Charger for only $11.99 right now. That’s about half the price that most other vendors are charging. Just keep in mind that they only have about 60 remaining in stock. It’s also worth mentioning that Efun is selling the 6-battery version (GOLISI S6) for $10 more. It’s listed at $34.99, but you’ll get an automatic $13 discount when you log into your account. Check out the link below.